LINCOLN, Neb. – In 2016, a record 159 active bald eagle nests were documented in Nebraska by the Nebraska Game and Parks Commission and its partners. It was the third consecutive year the number of nests has broken the previous year’s record. Bald eagles were on federal and state endangered species lists as late as 2007 and 2008, respectively. 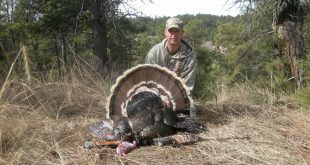 The species has gone from a nonexistent breeding species in the state to one that is relatively numerous in less than a quarter century, according to Joel Jorgensen, Game and Parks’ nongame bird program manager. In the early 1980s, when federal recovery plans were written to save populations in the lower 48 states, the recovery goal for Nebraska was set at 10 breeding pairs. In 1991, Nebraska recorded its first active and successful bald eagle nest in approximately a century. In 2007, the number of nests had grown to 54 active nests. Less than a decade later in 2016, the number of known active nests increased to 159. The 2016 total exceeds 2015’s record of 118 active nests and represents a notable 35 percent increase from the previous year. “We’ve grown accustomed to bald eagle nests number breaking records year in and year out, but the spike in numbers in 2016 was a big surprise,” Jorgensen said. Some of the increase is likely attributable to increased survey effort, but the numbers also reflect real increases in the state’s breeding numbers. Visit OutdoorNebraska.gov/baldeagle for more information on bald eagles in Nebraska.